11 Awe-Inspiring Caves You Can Explore Across the U.S. This guide to cave tours was brought to you by Aftershokz, the outdoor tech company that makes headphones that don’t go in your ears, so you can safely enjoy music, podcasts, and more while also engaging in an active lifestyle. Indeed, there is something about caves that has fascinated mankind for thousands of years. Even in the era of mass urbanization, when most of us live closer to a beer cave at the nearest gas station than an actual cavern, we’re still attracted to the idea of spelunking, camping near caves, and diving into underground lakes and rivers. Entering a cave gives you the distinct sense that you are entering another world, with a sudden shift in temperature, texture, sights, and sounds. There’s the filtered darkness that gradually fades to black; the utter silence except for the trickle of water or flutter of bat wings; the slick rocks; the mineral scent of the ground water seeping down stalactites. Even in a well-lit cave that’s outfitted for cave tours, there’s always an eerie sense of what it must have been like to first explore without knowing what’s down there. Just a mile-and-a-half hike from Timpanogos Cave National Monument, Little Mill campground is an ultra-convenient place to stay if you want to explore the three caves that make up this system— Hansen Cave, Middle Cave, and Timpanogos Cave. 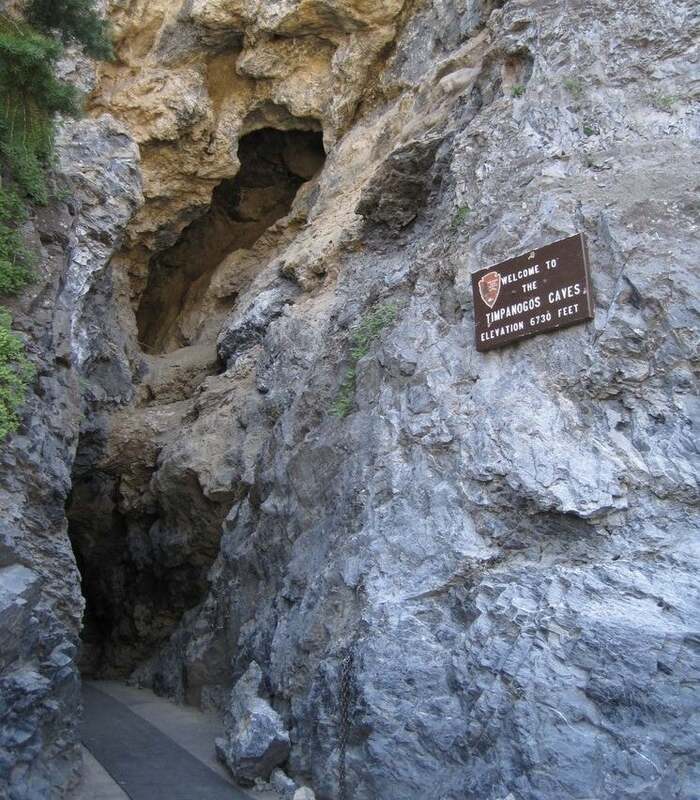 Each was once a separate limestone cave beneath the Wasatch Mountains, though the three are now connected by tunnels that were specially blasted by the WPA during the Great Depression. 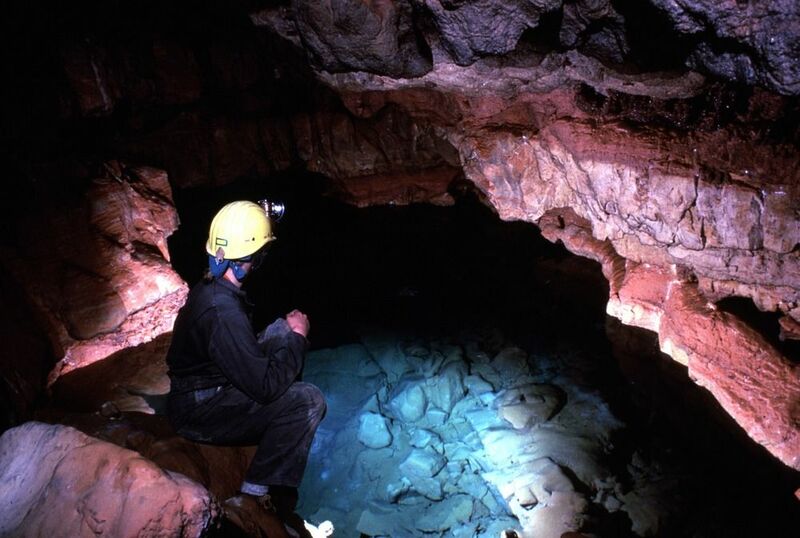 Hansen Cave was first explored by Martin Hansen in 1887. It wasn’t until 1922, however, that the Forest Service decided to designate the three caves together as one national monument, to preserve them for future visitors. If the continued popularity of Timpanogos is any indication, that was an excellent decision. Fortunately for modern explorers, Little Mill Campground is not only nearby, but just got a facelift, too. When you’re done adventuring underground on your cave tour, come back to the surface to enjoy fishing in the American Fork River. 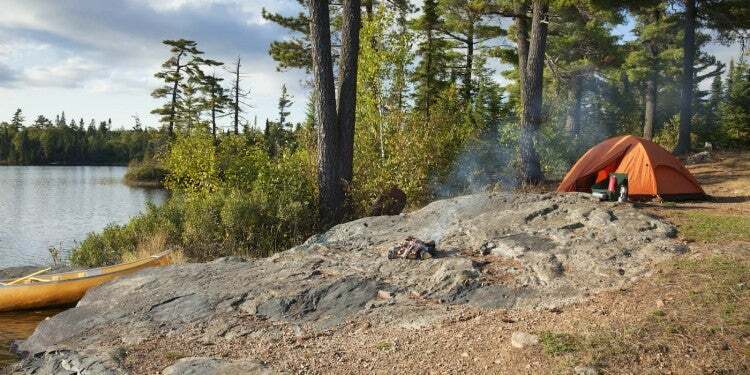 “This campground was recently renovated, making it one of the nicest in the area. It has an interesting layout, where it is long and narrow along the American Fork river and SR92. The flow of the campground makes it nice for larger setups (though not huge). This is the campground of choice if you plan to go to Timpanogos Cave, which you should check out if you are anywhere near by.” — The Dyrt camper Michael J.
There’s lots else to do besides a cave tour. Head back to the surface to Pactola Reservoir Campground which is centrally located to all the Black Hills attractions. In addition to Jewel Cave, you’ll be in a prime spot to easily reach Mount Rushmore National Memorial, Custer State Park, Crazy Horse Monument, Devils Tower National Monument, and Wind Cave National Park. The tent sites are right off the water, making for nice views and peaceful vibes. “Vault toilets were very clean and didn’t smell. There are pay laundry machines and showers at the marina store nearby. Also they rent boats and paddle boards. The marina and campground hosts have wood for sale.” — The Dyrt camper Shari C.
Unlike some of the other caves on this list, Mammoth Cave in Kentucky has a long history of use by humans— about 4,000 years to be exact. For about two thousand years, indigenous peoples in the area collected minerals from the cave, going as far as six miles down to three different levels (the cave is called mammoth for its size, not because of the fossils found there). No one knows yet why the activity suddenly stopped two thousand years ago, but the cave attracted fresh attention in the late 1700s or early 1800s, when a hunter named John Houchins chased a bear into Mammoth Cave. Soon there would be all kinds of economic interest in the cavern. It was a prized source of saltpetre, needed for gunpowder, that was mined extensively by slaves during the war of 1812. By 1816, mining efforts had wound down and area slaves were put to work as guides to explore the cave further and lead cave tours along its best-known routes. There was later disagreement from local landowners about who exactly Mammoth Cave belonged to, a debate that was rendered moot as older generations passed on and with the founding of the Mammoth Cave National Park Association in 1926. 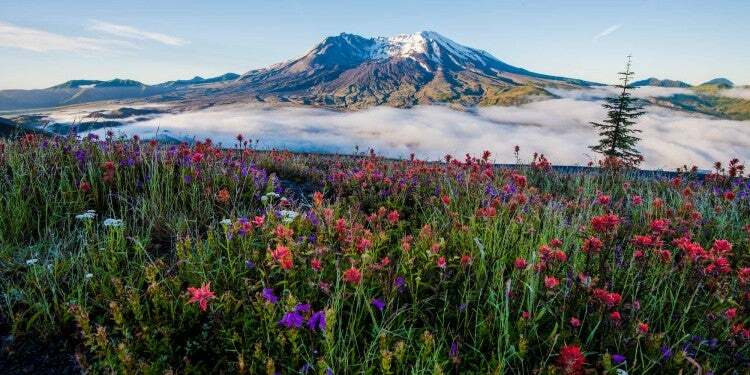 Today it’s one of the most popular outdoor attractions in the southeast. There are several different tours you can enjoy, ranging from the historical to more serious spelunking. 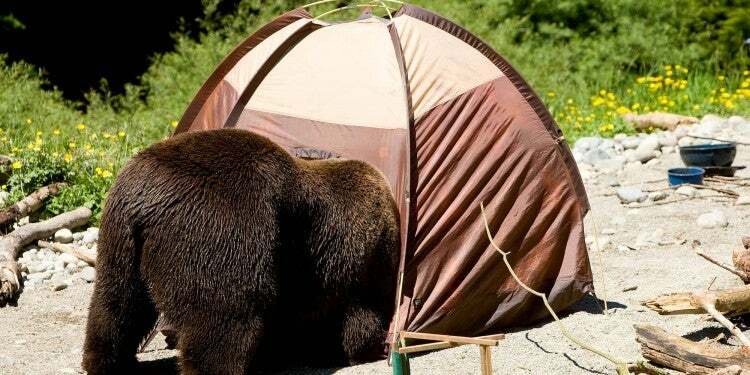 There’s a variety of camping options nearby, too, including tent and RV sites and cabins. You can get out on the Green River to fish or canoe, go ziplining, horseback riding, or even geocaching. 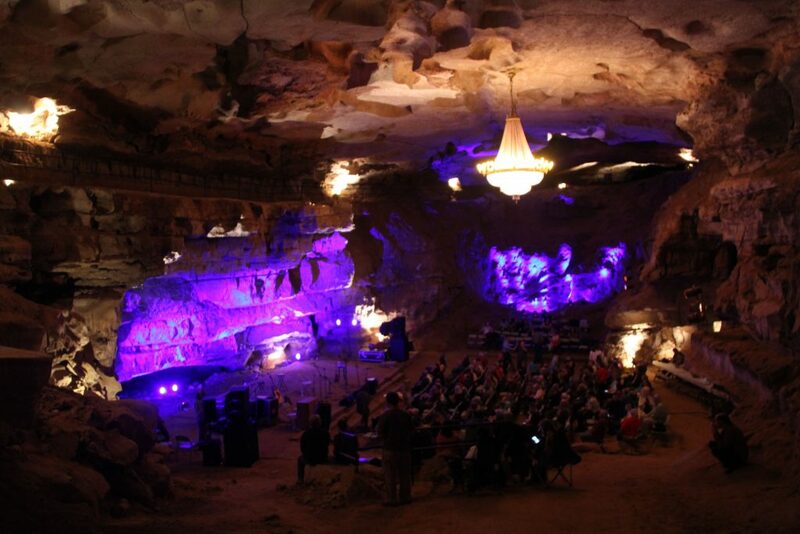 One of the most unique caves in the southeast is near McMinnville, Tennessee, where the Volcano Room inside Tennessee’s Cumberland Caverns has been turned into a bluegrass concert venue. The perfect acoustics of the space have been used for live concerts and radio broadcasts for years now—it’s a uniquely beautiful place to see live music. See classics like Here Come The Mummies, The John Butler Trio with Dustin Thomas, Dave Rawlings, Drivin’ and Cryin’, Brandi Carlile, and even rockers like the Flaming Lips, who are performing a New Years show this winter. If you didn’t get enough of Southern hospitality down below, soak up some more at Rock Island State Park just twenty minutes up the road. 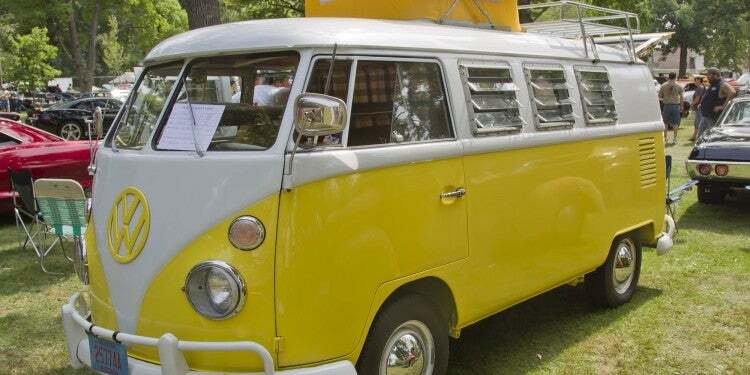 “This campground is one of my favorites in the entire east & middle TN area! It’s a great state park with all the amenities, where you can bring the camper and the whole family to relax. It’s always quiet and full of very nice people, and I’ve never had any animal problems there. There’s access to a great area for kayaking and swimming as well!” — The Dyrt camper Phoebe A. If you want to enjoy the Bluegrass Underground experience no matter where you are in the country, slip on some headphones that don’t go in your ear and give past seasons a listen. The gorgeous marble caves that wind underneath the Siskiyou Mountains in Southern Oregon were formed by a combination of acidic water eroding the stone over millennia, with a little bit of volcanic activity. It’s first known explorer was a boy named Elijah Davidson, who in 1874 chased his dog into the cave when it took off after a bear. By the time it was established as a national monument in 1909, the cave had seen some of its stalagmites and stalactites stripped as souvenirs and a whole paragraph’s worth of cursive graffiti etched into its delicate walls. Because the cave continued to grow new layers of translucent stone around that damage, however, that graffiti is now considered a part of the cave and cannot be removed. In the 1930s, a self-taught architect named Arthur Peck designed a great lodge to sit outside Oregon Cave National Monument, styled after the alpine chalets of Europe. He built the structure almost entirely from local materials, including marble for the massive stone fireplace in the lobby and cedar shingles for the exterior cladding. For the past eighty-four years, the Chalet has hosted visitors in its 23 overnight rooms. It’s temporarily closing this winter, however, for a two-year long renovation that will improve its accessibility for visitors with disabilities and restore its historic charm. Never fear, however. 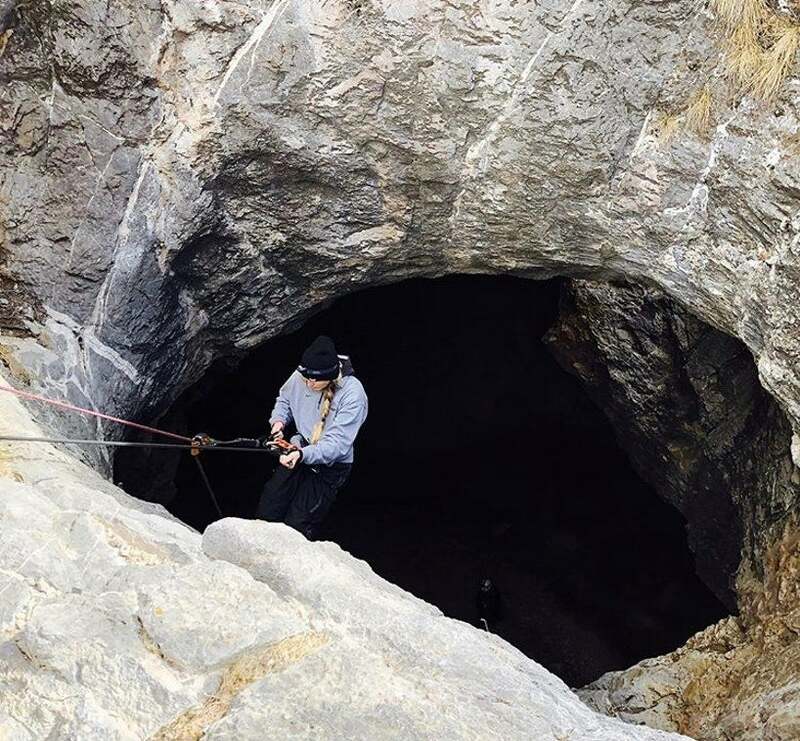 The cave itself will remain open for cave tours, and you can still stay incredibly close by at Cave Creek campground. It’s run by the Forest Service just a 2.5 mile hike from the cave entrance. Rappelling into Whipple Cave Image Courtesy of The Dyrt Camper Alex B. If you’ve read Hunter S. Thompson’s Fear and Loathing in Las Vegas, you get the joke about Nevada being bat country. Take that a little more literally, however, at Whipple Cave campground, three hours south of Sin City. Unlike many of the other caves on this list, this is a place where you’ll actually need rock climbing and rappelling skills. Contrary to our “cave tours” title, there are no guided tours of Whipple Cave, so any adventuring you do is at your own risk. You’ll also need a 4-wheel drive and/or high-clearance vehicle— the road in can be tricky. “There’s fire pits available throughout, it’s a very secluded area so you will not run into other people or crowds. Just an FYI, it gets pretty windy at night. Dog friendly! 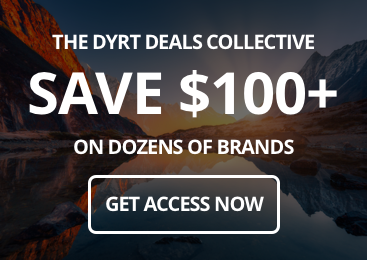 No reservation required, free to camp!” – The Dyrt camper Alex B. Often we hear more about people struggling to hike through or drive wagon trains across the Sierra Nevada, rather than what’s going on deep beneath them. For all the attention that the soaring peaks and towering trees in Sequoia and Kings National Park get, however, it’s easy to forget the over 200 caves carved through the marble underneath the park. Crystal Cave is one of the best known examples, and fortunately Lodgepole campground is not only nearby, but is also one of two places to pick up your tickets. 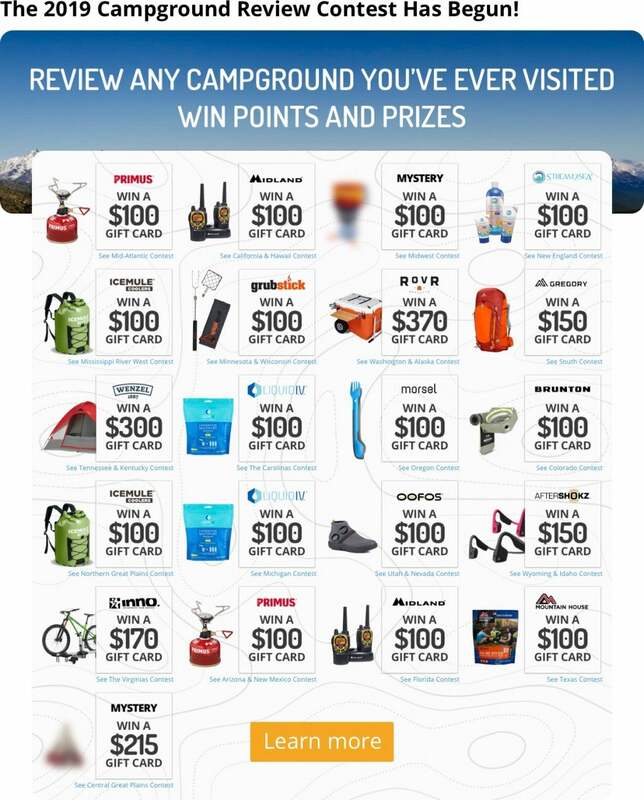 “The Lodgepole campground is very close to The Village Marketplace and makes it nice for ‘easy camping’- grabbing items that you may have forgotten or to pick up a nice treat. They also have showering facilities at The Village Marketplace as well. 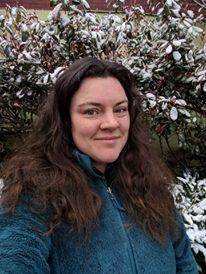 It makes it nice if you plan to tent camp for any period of time.” — The Dyrt camper Natasha H.
Just remember to be very careful when visiting more than one cave system or cave systems in different areas. 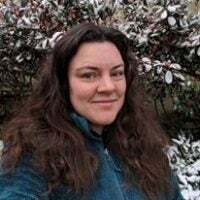 It’s important not to wear clothing you wore on another cave tour, as you could spread the fungus that’s affecting bats nationwide, causing something called White Nose Syndrome. It turns out the spores that cause White Nose syndrome can live in your clothing for months or even years, even if you wash your clothes with detergent and hot water. The Lily Pad Room in Onondaga Cave Image Courtesy of The Dyrt Camper Annie C.
The Ozarks are famous for their unique geology and odd caves and caverns. Onondaga is a wonderful spot to see this flip side of the Ozark’s one-of-a-kind landforms for yourself. 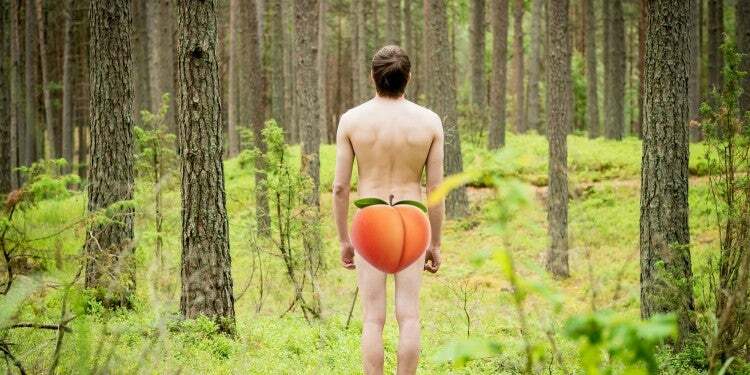 In fact, Missouri is known as “The Cave State” because there are so many caverns hiding under the region’s rocky apple orchards and near its winding rivers. In addition to exploring Onondaga Cave, you can also get bundled tickets to see Cathedral Cave, too, a more active and challenging cave tour lead by lantern light. Once you’ back on the surface, though, you can relax as much as you like. The Onondaga Cave State Park campground is very RV-friendly, and The Dyrt camper Annie C. warns that you should probably skip your hammock in favor of a tent or trailer. That said, the proximity to Onodaga is hard to beat. “The real draw of this park is the caves. You can tour the main cave from the Visitors Center. $15 will get you a guided 90 minute tour of Onondaga Cave. Afterwards you really should take the hike on Herron Trail to see the original entrance to the cave, which is mostly underwater unless it’s a really dry season. There is also a second entrance that is gated, so if you want to go in, you have to pay up at the Visitors Center. 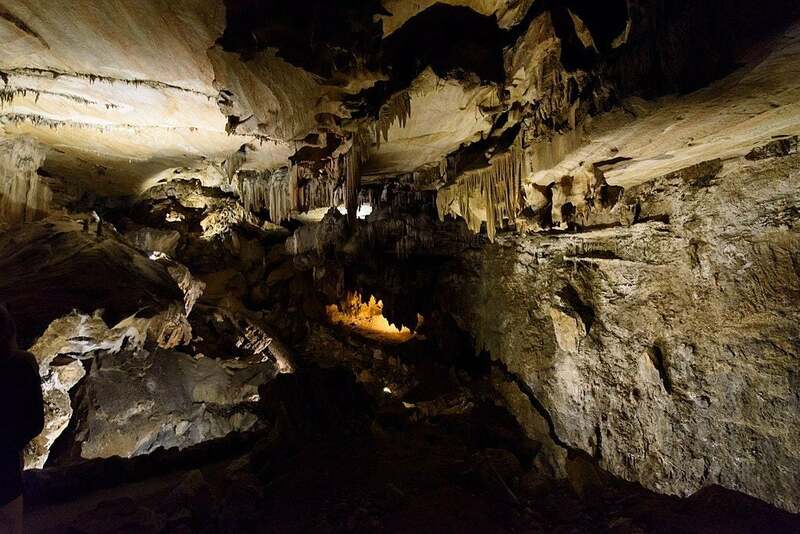 The tour of Onondaga Cave was worth every penny.” — The Dyrt camper Annie C.
Carlsbad Caverns, one of New Mexico’s most famous attractions, is an underground land of enchantment all its own. 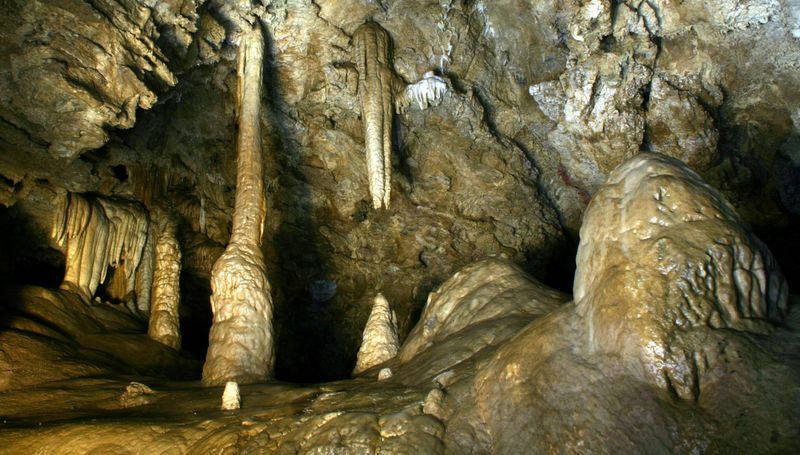 Like Oregon Caves National Monument and others, it was formed when sulfuric acid slowly eroded the marble underneath the Chihuahuan Desert, creating cave systems. Fans of dispersed and backcountry camping will enjoy the sites near Rattlesnake Canyon. You’ll need a permit, but they’re easy to obtain at a ranger station. Robber’s Cave isn’t just the stuff of pirate fantasies. It earned its name after years of being used as a hideout by ne’er-do-wells, ranging from Civil War Deserters to such infamous outlaws as Belle Starr and possibly Jesse James. 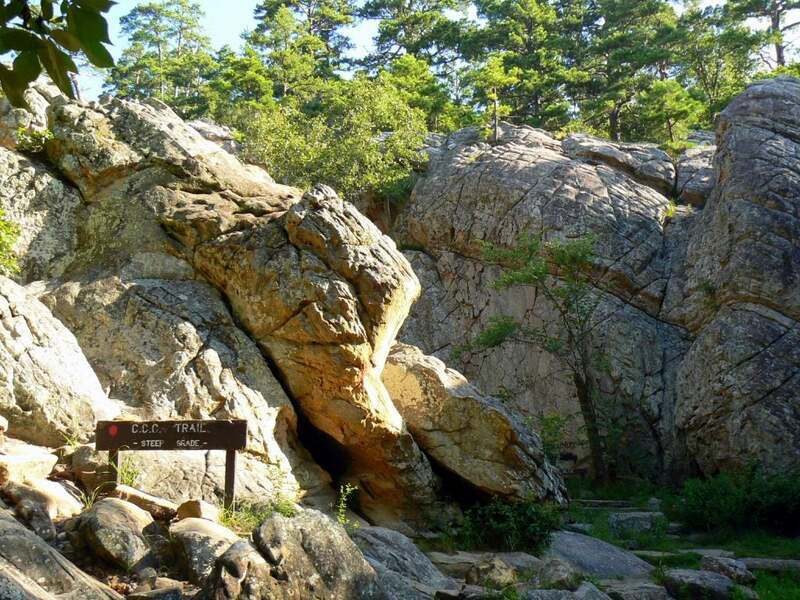 Located in the Sans Bois Mountains in the western fringes of the Ozarks, this spot is popular not only with spelunkers and rappellers, but also with horseback riders who enjoy the surrounding trails. 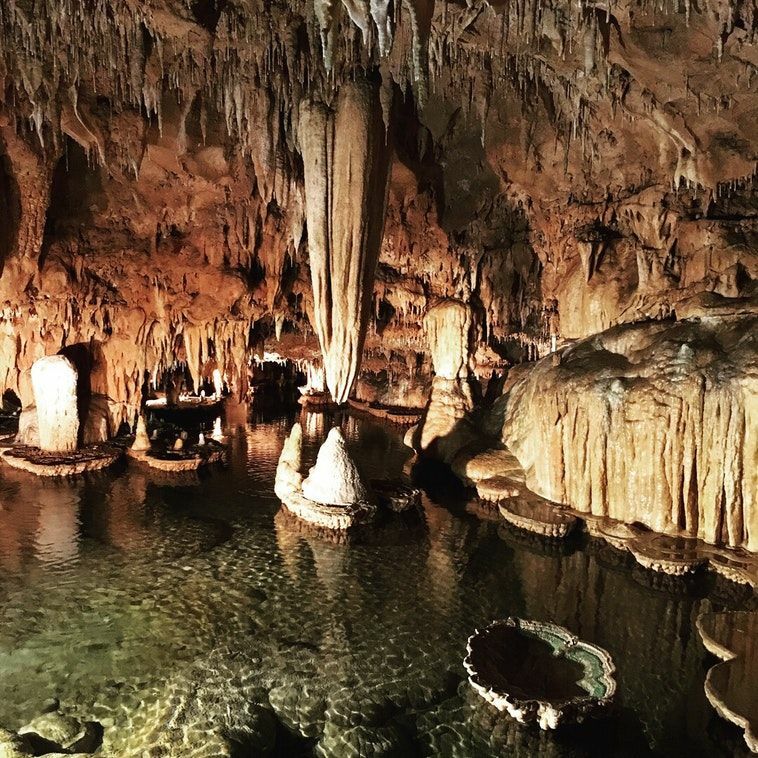 Don’t stop at a cave tour — learn more about everything else there is to do in our complete guide to Robber’s Cave State Park. What makes the Wind Cave National Monument unique is its boxwork formations. These are formed when bedrock erodes from between calcite fins that form a cellular appearance on cave walls and ceilings. 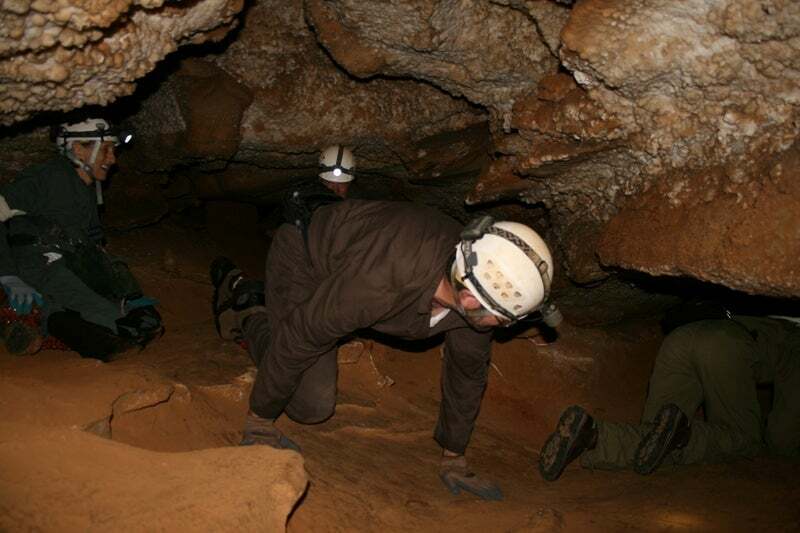 There are a number of cave tours offered that cater to a variety of interests and activity levels, including the Candlelight and Wild Cave tours. As the Switch Back Kids point out, Elk Mountain Campground makes a great homebase from which to explore. 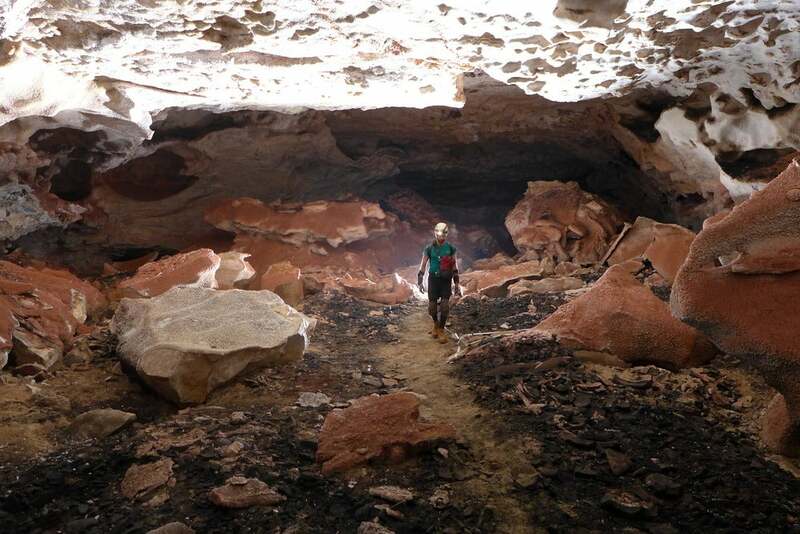 These are just a few of the incredible caves you’ll find throughout all fifty states. There are so many more that come with great stories— just ask Chattanoogans about Nickajack Cave on Lookout Mountain where Johnny Cash had a spiritual experience that would eventually contribute to his sobriety. With so many incredible underground spaces to explore and cave tours to share with other spelunking enthusiasts, it’s easy to see how poets like Clifton keep finding them so awe-inspiring and mysterious.